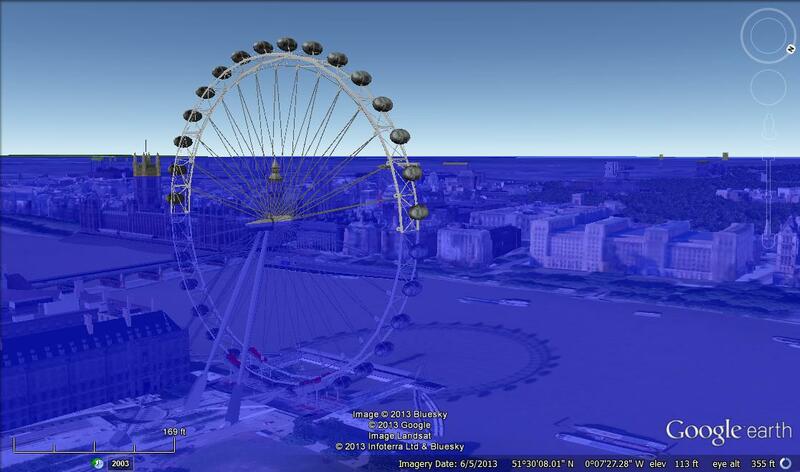 The prospect of drowned cities is a significant part of the rhetoric of climate change: from recent maps issued by the Environment Agency showing the catastrophic flooding that might result from increased tidal surges, to Google Earth’s Flood Simulation software that allows one to picture the effects of apocalyptic rises in sea levels on London’s iconic buildings, the tops of its skyscrapers the only visible reminders of the city beneath. At the same time, both recent literature and, to a lesser extent, television, have enlarged these powerful images into fully-fledged narratives: from the eccentricities of Will Self’s The Book of Dave (2006), where a 100-metre sea-level rise reduces London to the settlement of Ham, which is now the top of Hampstead Heath; to the turgid TV film Flood (2007), when an enormous tidal surge overwhelms the Thames Barrier, flooding the whole of central London. 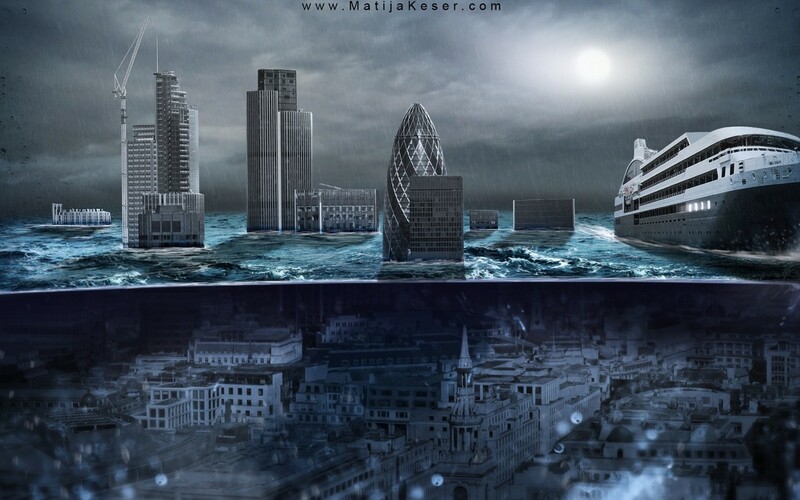 Yet, the submerged city has long been a significant trope in the literary destruction of London, and going back to these precedents enlarges and complicates the meanings of contemporary prospects of urban flooding. In the literary imagination, the submerged city is a representation that acts as a metaphor for a wide variety of processes, whether the revenge of nature, the unconscious mind, the return of the past, or the processes of ruination. Here, I focus on three literary visions of drowned London: as sewer, sump and swamp. As revealed by Jefferies, London has literally been drowned in its own wastes: first the city’s crumbling buildings choked its rivers, creating a stagnant swamp; then the ground rose and the sewers came to the surface, further poisoning its already foul waters. In this vision of submergence, London’s vertical structure (the characteristic Victorian high and the low, the above and below ground) is flattened, but this leads not to redemption (as it might in socialist narratives) but extinction. If the cataclysmic forces that precipitated the end of London were beyond human control, the city’s toxic afterlife was a direct indictment of the vertical city’s environmental and social degradation. As After London demonstrates, the idea of submergence grows out of an awareness of the city’s multiple layers. If these layers must normally be imagined to be seen in their totality, then at certain times, the city’s vertical structure might be inadvertently revealed, such as in the aftermath of the Blitz during the Second World War. Perhaps nowhere are the war ruins of London evoked more strongly than in Rose Macaulay’s 1950 novel The World my Wilderness. Here, the city’s ruins play host to adolescents, namely the exiled 17-year old Barbary and her half-brother Raoul. In this novel, which drew on Macaulay’s intimate knowledge of wartime London, the ruins of the Blitz are a refuge for traumatised children who have yet to work through the catastrophic upheavals they have just experienced. In the City of London – where over half of its buildings were either damaged or destroyed by German bombs – the city’s layers are temporarily revealed, creating a spectral landscape of half-exposed cellars and caverns, staircases reaching to the open sky, and abundant vegetation reclaiming the ruins. Ballard’s hallucinatory vision of a submerged London in turn haunts the main character of the novel, Kerans, who, like others in the book, is experiencing his own inner evolution as he eventually yields to his residual Paleozoic self and becomes one with the new environment (even though that undoubtedly leads to his premature death). In Ballard’s view, the drowned city mirrors our own unconscious minds, that is the ‘inner space’ of submerged desire, historical memory and as yet undreamt of possibilities. For Ballard, accessing the submerged world holds the the key to redemption – it makes room for an alternative consciousness to emerge that may chart new trajectories of history into the future. 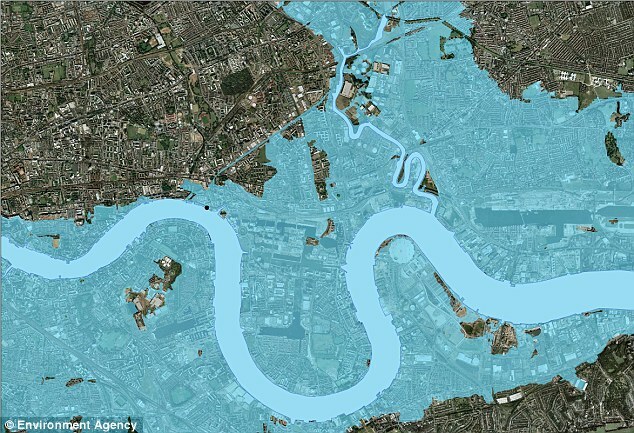 Sewer, swamp, sump: very few of the recent imaginings of how London will be affected by climate change offer such a rich diversity of representations as these. Yet, if Ballard is right, they are all caught up in a ceaseless exchange between the material and the mental. The submerged city is always to some extent a mirror of our own submergence; if it drowns, we too must drown. Had not come across the Jeffries and Macauley books – def worth following up! And to think the Ballard was published in ’62! Mind boggling! Really very interesting posting – great work! Thank-you Michael – I’m really glad you enjoyed it! The Ballard book is on my to-read list. An author who always seemed remarkably prescient. It’s a great read – very intense though! I’ve not yet dared approach some of his other books, such as the notorious ‘Crash’, published in 1972. Both FLOOD (DVD) and THE DROWNED WORLD (book) are on their way here now. Thank you for a very interesting entry! Great! Don’t blame me for the quality of Flood (it’s pretty awful…).